Find the cheapest offers on Huawei's latest device. 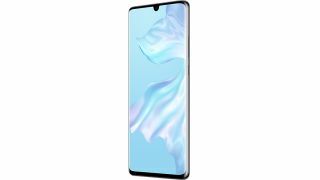 Earlier this week Huawei launched its latest device, the much-anticipated Huawei P30 Pro. Boasting a powerful camera backed up with AI support, this device looks set to take breathtaking snaps that are sure to come in handy for your next creative project. Details are still emerging about this phone, but if you want to pre-order the Huawei P30 Pro today, you've come to the right place. With our trusty price comparison tool you'll find the best Huawei P30 Pro deals available right now on this very page. And if you're still weighing up your options, don't forget that we've got a guide to the best camera phones for designers ready and waiting to help you decide on the phone that's right for you. When it comes to standout features for creatives, the Huawei P30 Pro's key selling point is undoubtedly its powerful camera. You might have heard a lot of noise surrounding this phone's camera in the run up to its launch, and for good reason. Thanks to Huawei's artificial intelligence photography know-how, this device's camera is capable of taking truly impressive shots. Take the 10x lossless zoom, which deploys AI smarts to snap jaw-dropping shots. This capability also powers a 50x digital zoom that is capable of taking clean and crisp pictures quickly. An accompanying 32MP selfie camera means the Huawei P30 Pro is a powerful piece of photographic kit no matter which way you point it. This AI muscle backs up the Super Spectrum sensor, a feature which sets the Huawei P30 Pro apart from pretty much every digital camera on the market. Thanks to said sensor, this phone substitutes the green photocells for yellow ones, resulting in a more light-sensitive display. This sensor also means that the camera performs better in low light performance. On top of these capabilities, the Huawei is rumoured to contain an impressive amount of storage, not to mention a 6.47-inch OLED display capable of delivering an impressive fully HD picture quality. It might not have a headphone jack, so if you want to listen to music while you create that could something to consider. But with speedy wireless charging that can load it up with 70 per cent of power in just 30 minutes, the Huawei P30 Pro seems to be a powerful and sturdy device that more than delivers in the photography department. We just have to wait and see if it goes toe-to-toe with the industry leading Google Pixel 3. The Huawei P30 Pro is available to buy right now, although it won't hit shop shelves until 5 April in the UK. Details are vague when it comes to a wider release, and at the time of writing we're not even sure when US audiences can expect to get their hands on it. So if you do want to pick one up right now, take a look at the best Huawei P30 Pro deals below.